The NHL has announced rosters for the 2016 All Star Game, set to be played in Nashville at the end of January. 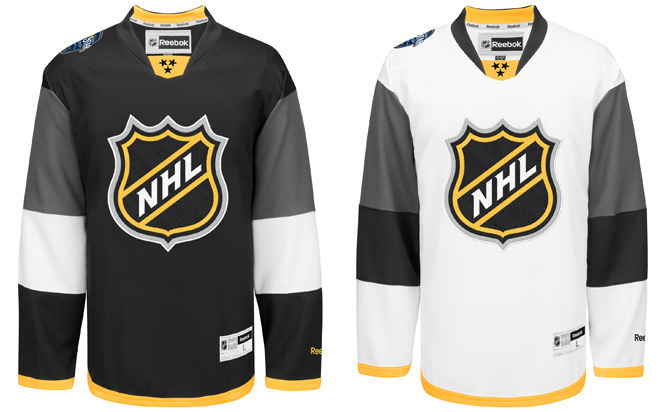 They also released this year’s All Star jersey design – a simple look that pays tribute to the host city. 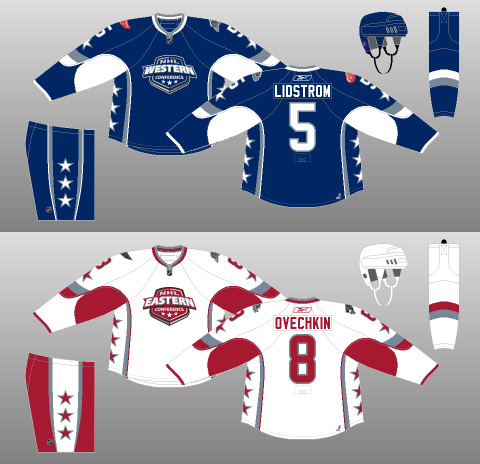 We count down the top 10 jerseys from All Star Games. 10. 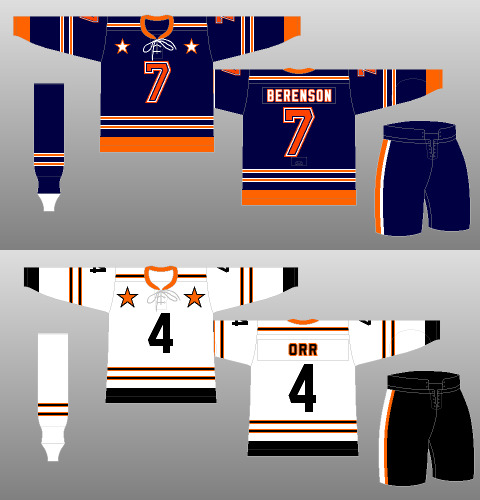 2007 – Literally “stars” all over the place. 9. 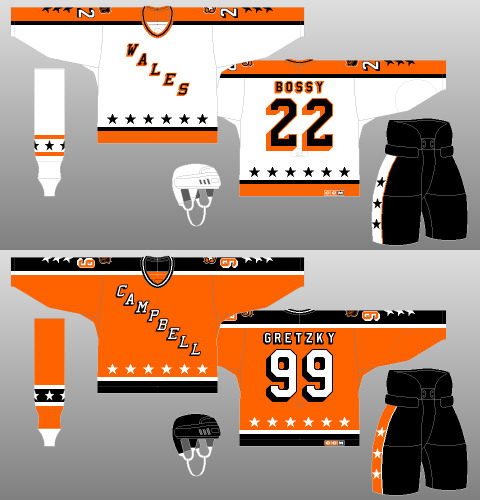 1984-86 – From when the game was a matchup between the best in the Campbell and Wales conferences. 8. 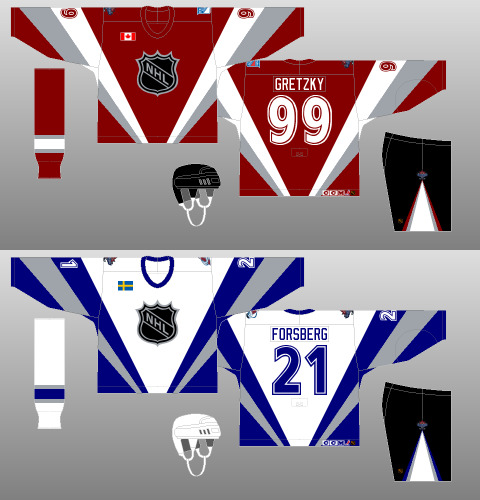 1998-99 – North America vs. World. 6. 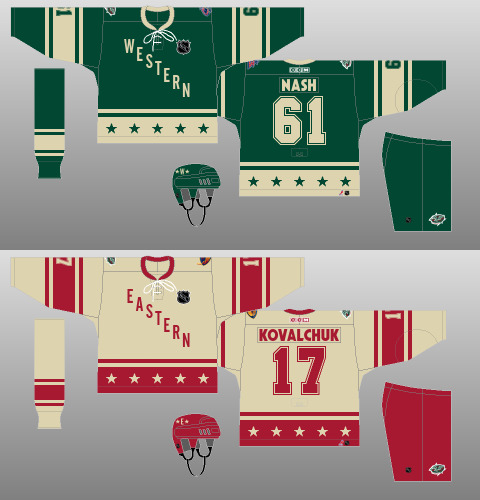 2004 – The League adopted Minnesota’s colour scheme and the result was classy. 5. 2016 – New, original. 4. 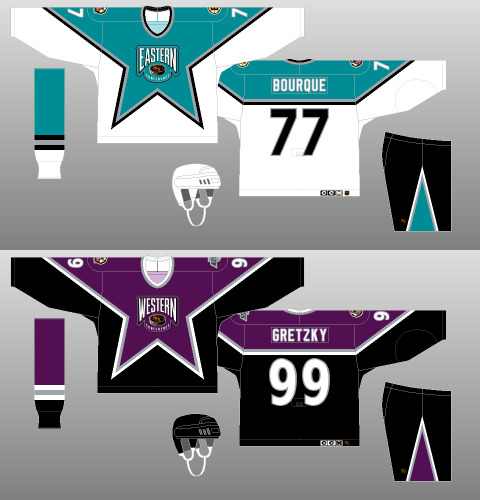 2000-01 – Including the 2000 game in Toronto! 3. 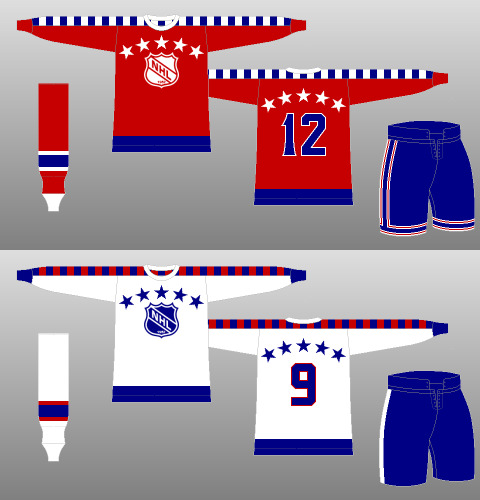 1947-59 – The first official All Star jerseys featured a design that might not fly in 2016. 2. 1994-97 – Owen Nolan’s famous called shot came in one of these. 1. 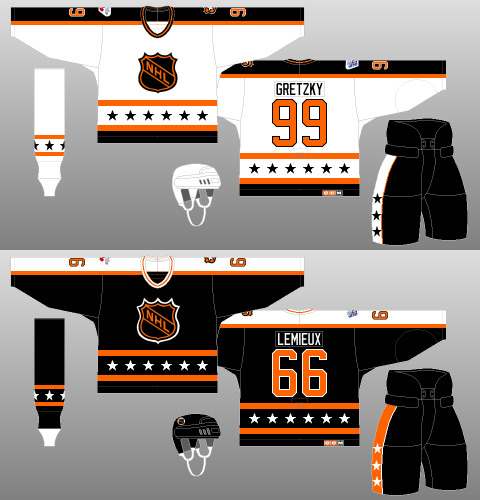 1989-91 –White vs. Black, Gretzky vs. Lemieux.